Before she was employed with YWCA in the traineeship program, Amita struggled to find work and found this incredibly frustrating. While Amita had not been working for an extended period this was for good reason, prioritising the raising of her daughter! 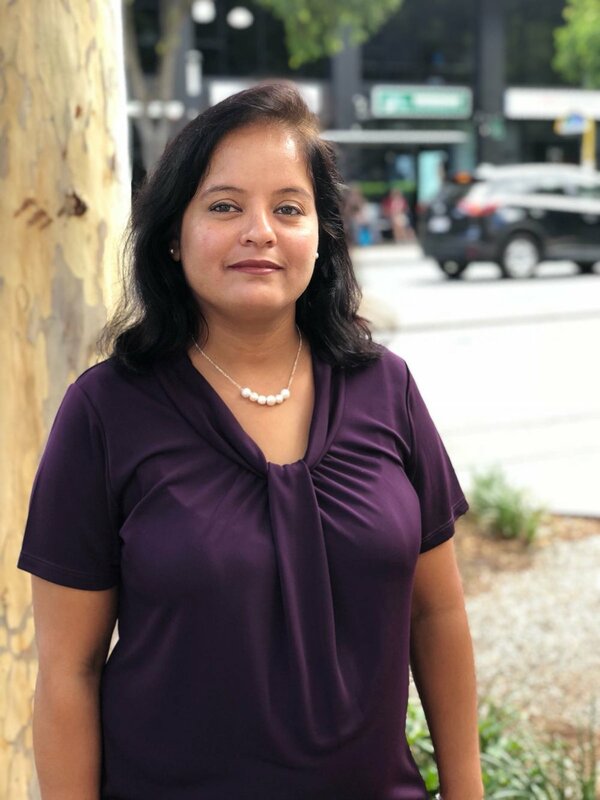 Now working with YWCA, Amita's increased her administrative skill set, which only adds to the many skills she's gained in raising her child (like multi-tasking! Show us a mum who doesn't know how to handle 2-3-4 things at once!). Amita tells us that is isn't just her skills that have increased but her self-confidence too. Being able to financially contribute to her household has been transformative and Amita hopes to continue working and being an amazing role model for her daughter. Amita tell's us "I am happy and thankful to YWCA for giving me an opportunity to work with such a wonderful organization who empower women and girls by focusing on their Safety & Wellbeing, Economic Participation and Leadership to ‘find their possible’. During my traineeship, I have gained confidence and now I believe in myself. It has helped me to communicate more effectively and to futher develop my skills in time management, organising, multi-tasking, operating Microsoft Office programs and I now better understand how to use my interpersonal skills to work within a team. In a few months I will complete this traineeship with a Cert 1 in Business and so i'm actively looking for entry level administration and office support roles. With all of the skills I have learnt here and combining this with my strong work ethic and compassionate nature, I believe I will be valuable addition in my next opportunity." Can you or someone you know help Amita by providing her with a job opportunity? Let us know!